Happy Chinese New Year and Valentine's Day of all of you! I hope you've had a very good time (because I did ^w^ ) and today I am going to do my very first unboxing review + Vblog with a GIVEAWAY! 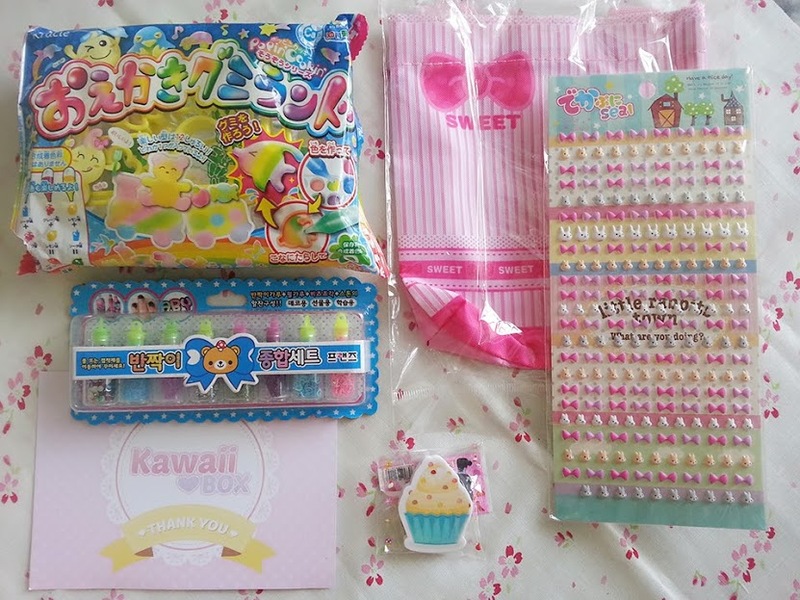 Just a little hint, ONE winner will receive a surprise Kawaii Box to their doorstep!! 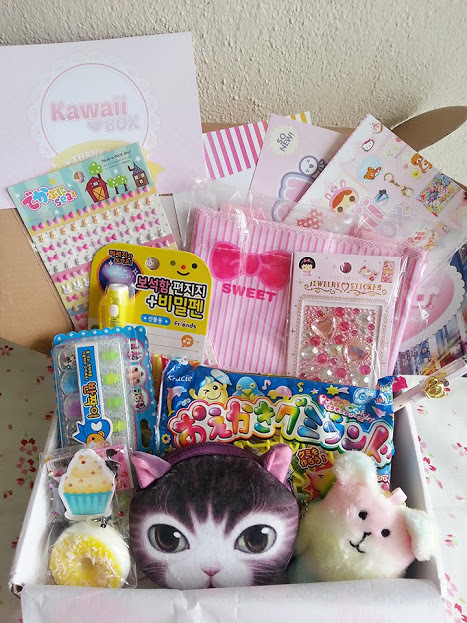 Kawaii Box is one of the monthly subscription box under the wings of the Kawaii Group. When Kawaii Box first arrive, I can hardly contain my excitement as I simply adore cute Japan and Korea stuff! This box is fun-size-packed (6 x 9 x 2 inches) and the pink ribbon print on the box just gets me edgy on my seat. 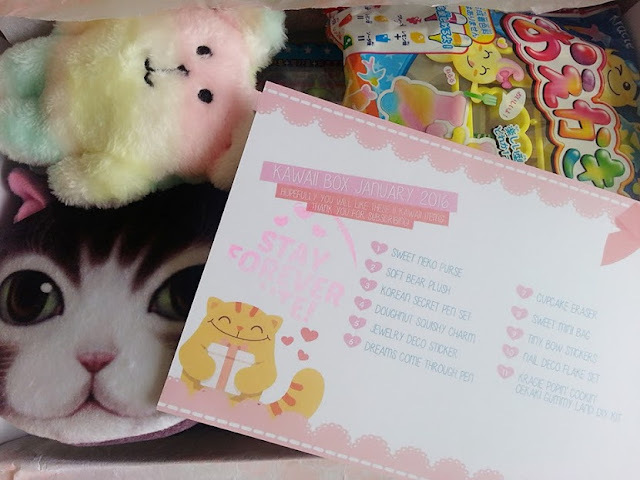 The January 2016 box has 11 simply-too-cute items. I still cannot believe they manage to pack this all in such small box. 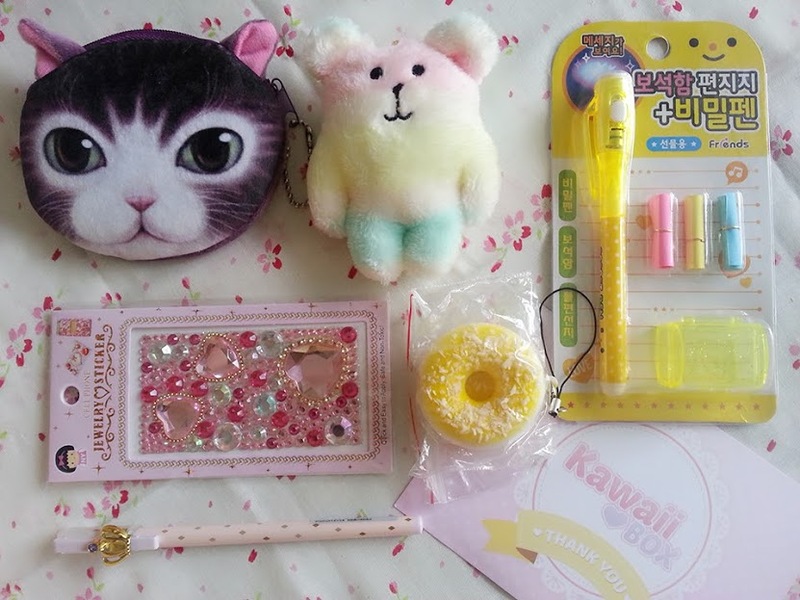 My favorite items simply are the Sweet Neko Purse and Soft Bear Plush! Good news to all Malaysian kawaii lovers! YES. They are providing Free Shipping to our country for real! After all the shipping fees we endured throughout our online purchases, finally our prayer has been heard. 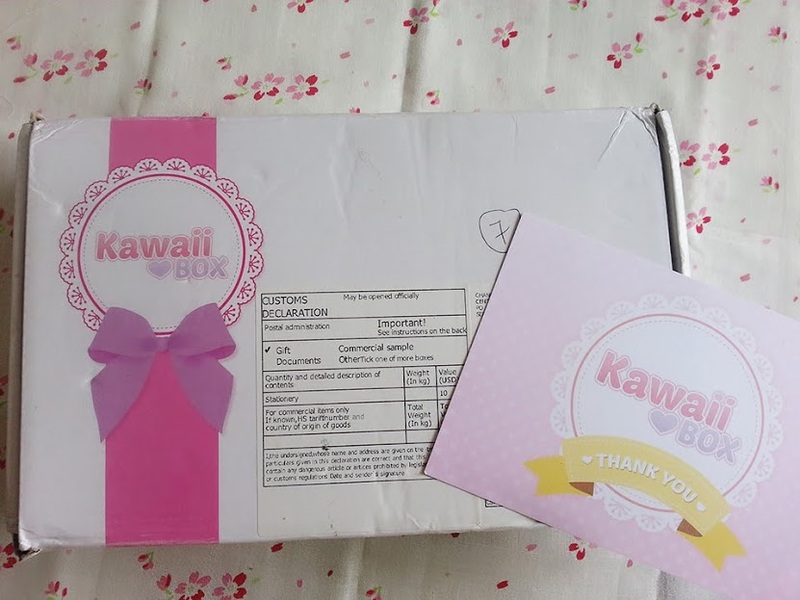 Regardless of any events; Valentine, Birthday or Anniversary, Kawaii Box delivers the parcels to the recipient's doorstep for free, WORLDWIDE. (I could hear our friends cheering from the other end of the globe) However, bear in mind to place your order early as it will only arrive at the end of each month. Mine took 3 weeks. 1. My box was just shipped and cannot be found on the tracking? You will receive the shipping confirmation email once your box has been picked up by the delivery company. However, it might take 1-6 days until your box has been transported to the sorting facility in Singapore and registered to the tracking service. No worry though... Your box will be trackable soon! 2. How long it will take for my box to arrive? After your Kawaii Box has been shipped, the delivery time is usually 1-2 weeks to most countries. Unfortunately, boxes to Canada, UK, Germany, Central Africa and South America might take up to 4-6 weeks to arrive. Thanks to Kawaii Box, they have granted one box of cuteness-filled surprise to ONE lucky reader! Just complete as many entries in the Rafflecopter below to stand a higher chance. Giveaway ends 7th March 2016 at 2400hours.